It is based in London’s West End and is renowned for its theatrical productions including comedy and musical theatre. It is the fourth theatre to be built on the site and can seat 1500 people, drawing in large audiences for shows such as the current production, Love Never Dies. The first theatre was not known as the Adelphi but was founded as the Sans Pareil, which translates as ‘Without Compare’, by the merchant John Scott and his daughter Jane. It was initially opened as a musical entertainment company –showing musicals, pantomime and burletta. After Jane retired in 1819 the theatre was reopened as the Adelphi Theatre, taking the name of the buildings opposite the site, the Adelphi buildings. The Adelphi Theatre became well known for their melodramatic productions called the Adelphi Screamers which adapted several Charles Dickens stories for the stage. In 1844 the theatre changed management and became managed by Madame Celeste and Ben Webster, at which point the Adelphi also started showing comedy shows and French operettas. In 1858 the cramped theatre was demolished to make way for the New Adelphi Theatre which could seat 1500 people and was lit up by a Stroud’s Patent Sun Lamp which passed through a chandelier of cut glass creating some interesting lighting effects. 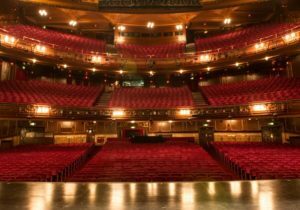 The Adelphi Theatre was the scene of a murder in 1897 as performer William Terriss was stabbed to death on 16th December by a jealous actor, and a plaque dedicated to him is on the wall by the stage door. It is even said that his ghost still haunts the theatre today. The third theatre on the site was built in 1901 and was opened as the Century Theatre but this was changed back to the Adelphi Theatre in 1904. 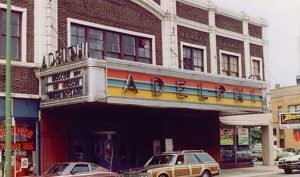 The Adelphi was home to a variety of musical comedies in the early part of the 20th Century but was rebuilt and the present Adelphi Theatre was opened in 1930, with a new Art Deco design by Ernest Schaufelberg. The theatre came under threat in 1968 as a new plan for redevelopment was introduced by the GLC but a campaign by Equity, theatre owners, and the Musician’s Union meant that the theatre was saved and preserved, before becoming a Grade II listed building in 1987. 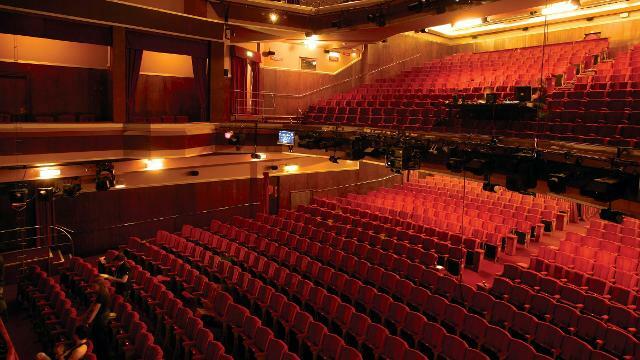 In 1993 the Adelphi was purchased by Andrew Lloyd Webber’s the Really Useful Group and was completely refurbished and in 1997 it became home to the classic Broadway musical Chicago and is the theatre’s longest-running production, having been there for more than eight years before transferring to the Cambridge Theatre in 2006. The Adelphi has been home to several other successful musicals including Joseph and the Amazing Technicolour Dreamcoat featuring Any Dream Will Do Winner, Lee Mead, and is now home to a new production of Love Never Dies.